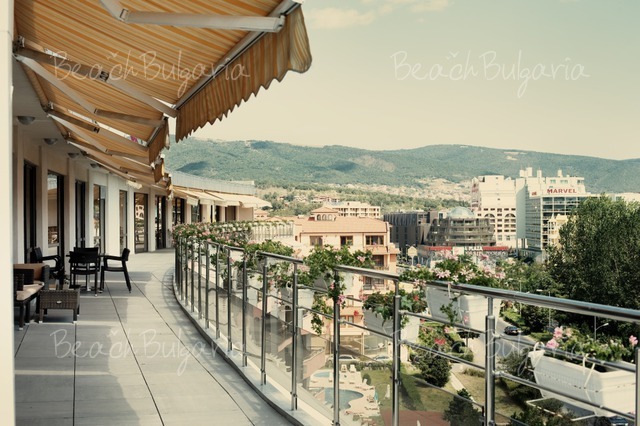 Flamingo hotel is situated 200 m from the beach and 600 m from the center of Sunny Beach resort. The hotel features 158 spacious rooms with bathroom, satellite TV, air conditioning, telephone, balcony. 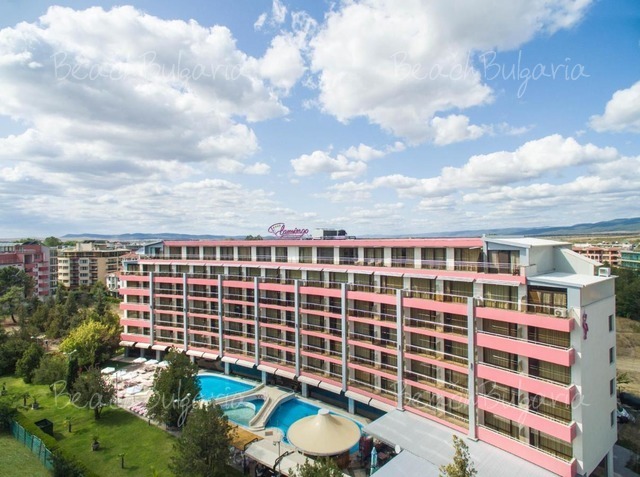 The hotel offers main restaurant with Bulgarian and European cuisine and selected wines, spacious lobby bar and pool bar. Outdoor Swimming Pool with children section, Fitness Center, Sauna, Finnish sauna, Massages, Beauty salon Library, Games Room, Billiards, Children's Playground, Snorkeling, Windsurfing, Diving, Biking, Electronic games. Business Center, Dry Cleaning, Laundry, Ironing Service, VIP Room Facilities, Room Service, Breakfast in the Room, Shoe Shine, Currency Exchange, Gift Shop, Car Rental, Fax and Photocopying, Internet (for extra charge), Parking. * All prices are in EUR, per night, per room. 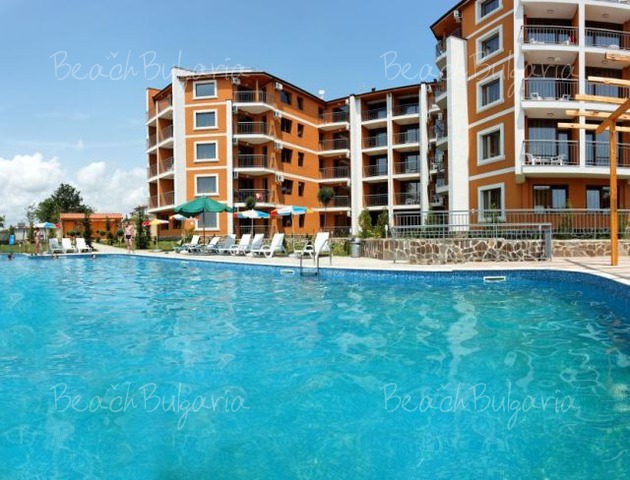 Swimming pool, parasole and sunbed near the pool are included in the price. * Cancellations can be made free of charge providing details of this are received at least 7 days prior to check-in time on the day of arrival and 10 days during 03 July - 24 August 2019 - cancellations made after this period will incur a fee equivalent to the cost of two night's accommodation. Please, post a comment on Flamingo hotel. - 21=18, 11=9, 7=6 during 20 May - 09 June 2019 & 08 Sept - 01 Oct 2019!